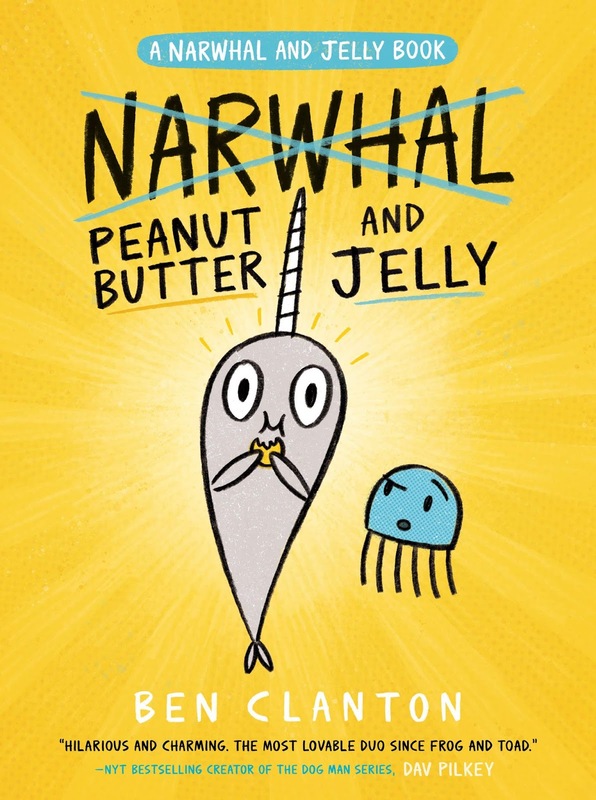 When I read Ben Clanton's Narwhal: Unicorn of the Sea originally, I was left with some misgivings that it was a tad too sweet and the art was overly simplistic. But knowing how popular the series has become among young readers, I felt I owed the books another look. 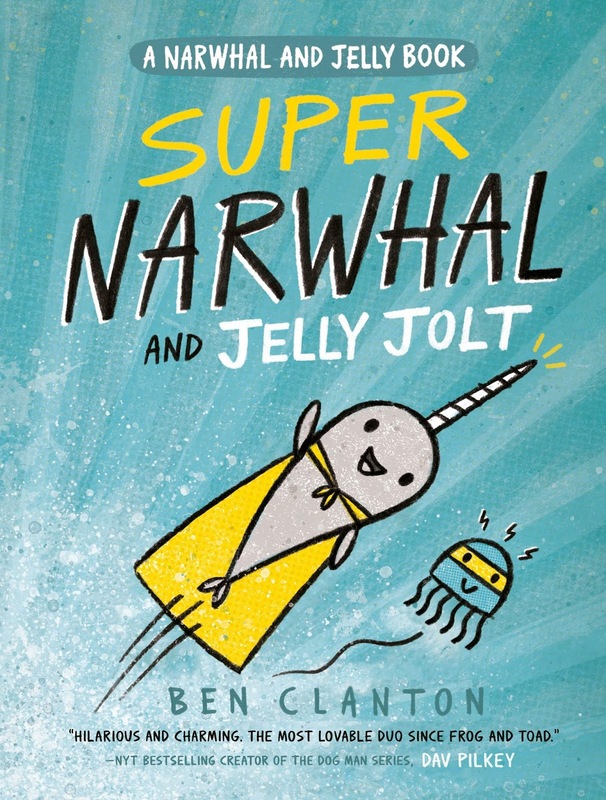 Super Narwhal and Jelly Jolt is the second in the series and already I was coming around to the appeal. 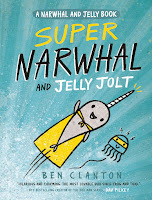 The characters are getting a bit more defined (Narwhal seems to have the bigger imagination and Jelly is more of a skeptic) as their friendship remains sweet. Art-wise, it's still pretty simple but there is some use of collage and patterns thrown in which amps the skill level without making it intimidating. This all continues with Peanut Butter and Jelly, the 3rd book of the series. My only reservation this time around was the potentially bad messaging. Basically it's a rip off of Green Eggs and Ham as Jelly tries to get Narwhal to try a peanut butter cookie. Spun right, it's a valuable lesson of not knocking something until you try it. Spun in another direction, it could be argued that kids should give into peer pressure.